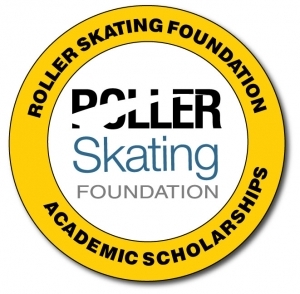 The Roller Skating Foundation typically offers scholarships to students each year. Following details apply to all applicants. Deadline for applications is February 28, 2019. Can be certified to be a child of an owner or an employee of an RSA skating center or a child or employee of an RSA affiliated member. Completes and timely submits the scholarship application form in its entirety. Must have at least a 3.2 grade point average on an unadjusted 4.0 scale. Demonstrates excellence in all areas they choose to engage; academics, work, volunteering, athletics, community, civic, and faith based organizations, etc. ACT/SAT scores must be submitted with scholarship application and will be taken into consideration when considering potential scholarship awards. Application should be submitted for the fall semester. Applicants must meet all criteria to be considered for this scholarship. Completed applications must be received at the Roller Skating Foundation by February 28, 2019. Application must be submitted the year in which you plan to attend college. Award will be announced in early April 2019. Winner will be posted on www.rollerskating.com/scholarships. Deadline for submissions is February 28, 2019. When complete, mail to Roller Skating Foundation, c/o Scholarships, 6905 Corporate Drive, Indianapolis, IN 46278 or email all documents to foundation@rollerskating.com. Questions? Contact the Foundation President, Rock Allman, at rockallman@aol.com.